Take home a preserved piece of auto history! No longer in existence, this unique collection was professionally curated, never open to the public, and consisted of rare and original General Motors cars and models. When the folks at the GM Special Vehicles Collection invited Dennis Gage to see their incredible collection of GM vehicles, he was like a kid on the way to the candy store... wide-eyed and wired! 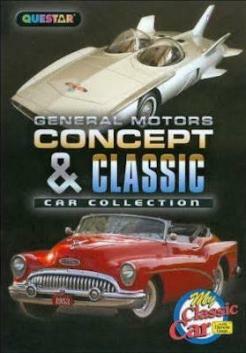 In GM's collection, they preserved over 700 of their greatest historic and concept cars. You will not be disappointed by this unprecedented collection of classics-unavailable anywhere else!